Debbie is an editor and writer who covers health, nutrition, fitness, and women's lifestyle topics. Scientists have unveiled a new diet plan that aims to jointly solve two of humanity’s most pressing problems — poor nutrition and climate change — by transforming the way the world eats. 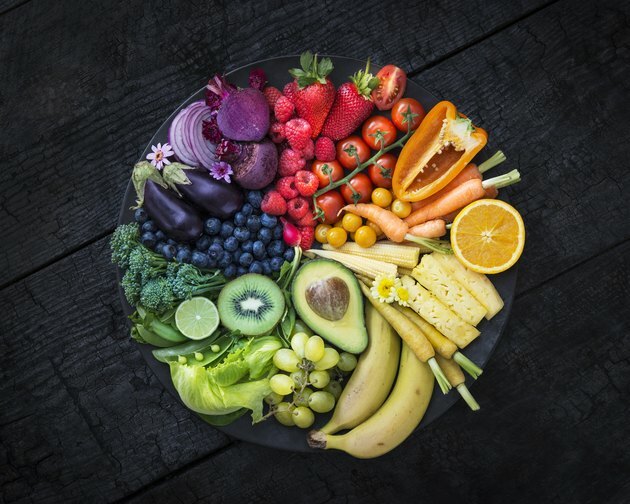 Dubbed the “planetary health diet” by its authors, the eating plan promotes a focus on fruits, vegetables, whole grains and beans while cutting back on meat and sugar. 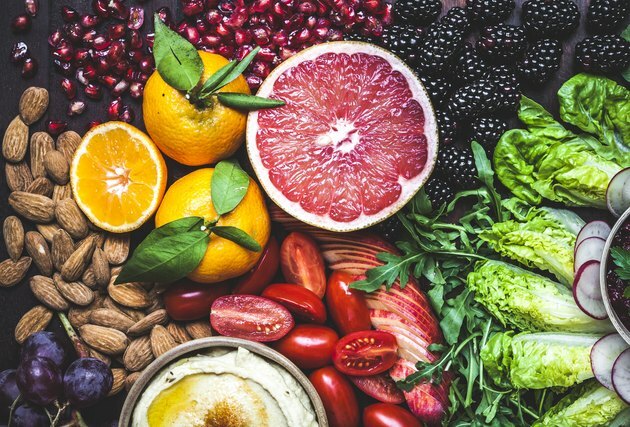 The planetary health diet may sound similar to other healthy eating plans — like a vegetarian diet or the popular Mediterranean diet — but this way of eating promises some serious side benefits for the planet: a “radical transformation” of our current global food system to avert environmental catastrophe, according to its authors, and the prevention of millions of deaths worldwide. “Humanity is facing a huge crisis today in terms of environment but also in terms of human health and well-being,” said Walter Willett, one of the report’s lead authors, at the report’s launch event in Oslo, Norway. Along with his co-authors, Willett — a professor of epidemiology and nutrition at the Harvard T.H. Chan School of Public Health and a professor of medicine at Harvard Medical School — calls the proposed plan a “win-win” diet, meaning it’s both environmentally sustainable and healthy. “We are not talking about a deprivation diet here; we are talking about a way of eating that can be healthy, flavorful and enjoyable,” said Willett. But what is the planetary health diet all about — and can it really help us collectively save our planet Earth while also helping our own health? Last week, a group of 37 researchers from 16 countries released the report — published in The Lancet medical journal and co-commissioned by EAT, a food systems-focused nonprofit based in Stockholm, Sweden — that provides a framework for a diet that promotes sustainable food systems and helps reduce greenhouse gas emissions, all in an effort to fight global climate change. Ambitious, sure — but it’s also critical, say its authors, who are a mix of experts specializing in fields like agriculture, political science, nutrition, and the environment. Their solution is the planetary health diet, a largely plant-based way of eating that allows an average of 2,500 calories a day. The general guidelines call for doubling the global intake of fruits, vegetables, nuts, beans and other legumes, while cutting in half the current intake of both red meat and sugar. Limiting the consumption of fish, eggs, refined grains and some starches is also recommended. But for specific areas of the world, guidelines are more clearly defined: North Americans should eat 84 percent less red meat but six times more beans and lentils, for instance. In more practical terms, the diet allows one burger and two servings of fish a week as well as one or two eggs. One glass of milk a day, or some cheese or butter, is recommended; most protein, however, comes from pulses (beans, peas and seeds) and nuts. According to the authors of the report, it’s all for good aims: They estimate that if globally adopted, the diet could prevent 11 million deaths per year by 2030 and reduce premature mortality by 19 percent. Sure, the planetary health diet promotes a more sustainable food supply for the planet while reducing the environmental impact of our collective food choices. But what about the diet’s effect on our bodies? That’s not all. “Diets rich in high-fat animal proteins have been associated with a greater risk of heart disease and certain cancers such as colon cancer. Reducing animal proteins in the diet, while making sure to meet your protein needs through plant-based sources, may improve health and lower disease risk,” she adds. The benefits of plant-based eating don’t stop there. “The produce department is the jewel in the crown of the supermarket,” says Bonnie Taub-Dix, RDN, creator of BetterThanDieting.com and author of Read It Before You Eat It — Taking You from Label to Table. “Produce is rich in vitamins, minerals, antioxidants, polyphenols, phytonutrients, and all of those other words that most of us may not understand — but we know they’re good for us!” she says. The best part about the planetary health diet is that you don’t need to overhaul your current lifestyle — or even the contents of your refrigerator — to get started, say the experts. “If you find the transition to this diet too dramatic at first, start by making small, simple changes,” says Palinski-Wade. “Try implementing one ‘meatless’ day per week where you focus on incorporating plant-based protein options such as beans, lentils, and nuts. Work to reduce the amount of animal protein in your dishes, such as incorporating pureed beans or lentils <ahref="https: www.livestrong.com="" article="" 548282-health-consequences-of-too-many-lentils="" "=""> </ahref="https:>into meatloaf or hamburgers to extend the meat while providing more fiber and less fat. Aim to fill your plate with at least one-quarter of produce at each meal, and slowly increase over time,” she advises. Another side benefit? The planetary health diet might just help pad your wallet by cutting down on your grocery bills. After all, we all know the difference in price between buying steak or beef versus a container of lentils or few cans of beans. “Adopting this eating plan may be more beneficial to your health, the planet, and may ultimately be a cost-saver as well,” agrees Palinski-Wade.